Over the Solstice/New Year holiday, and while blogging activity is low, I am reposting some of my previous articles. Comments are still welcome. 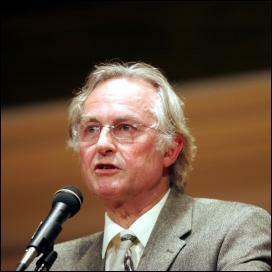 I used to be very critical of Richard Dawkins. This was because of his book The Selfish Gene. I had never read it, of course, but there were all those magazine articles using the book to justify selfishness in people and to provide an ethical basis for a selfish society, for capitalism. These ideas, to me, were reactionary, anti-human. My mind was made up. Despite my interest in science I was not going to waste time reading a “reactionary” book which I knew I wouldn’t agree with. That changed a year ago when I read The God Delusion. Mind you, because of my anti-Dawkins prejudice I almost didn’t, thinking it would be a waste of time. I am grateful I made the effort because I then found out my prejudice was baseless. The Selfish Gene was about genes, not about individual humans, other animals or society. Writers and others had taken the title of the book to justify their own political and economic agendas.